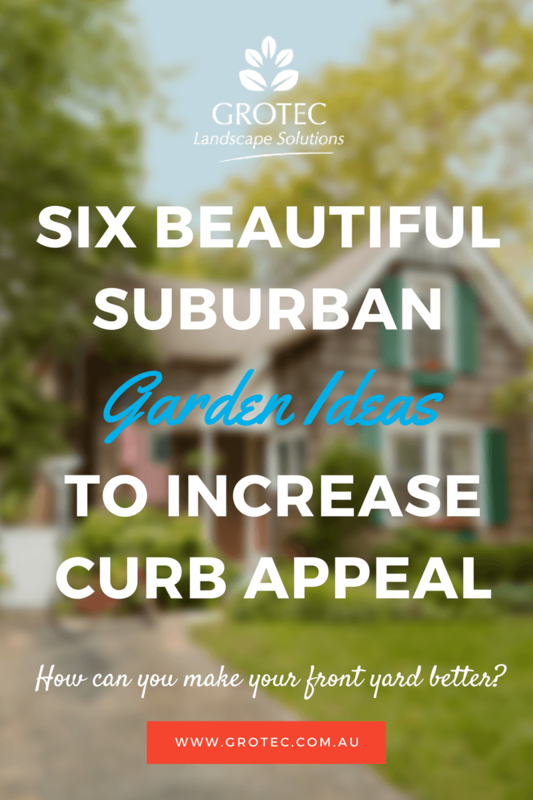 The layout of your front garden should increase curb appeal. 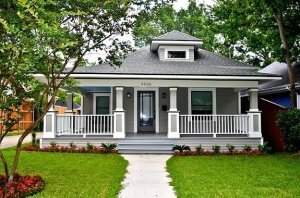 Look at the your front of your home and think – can I make this better? The way the front of your house looks provides ‘the face’ of your home. From the fence or hedge at the boundary, and up to the front door, the care and attention you give this important space will bring pleasure, and Grotec can help. Fencing of your front garden might follow the style of your house. Older cottages call for white picket fences. More modern buildings could be complemented by the garden theme. The style of fence can be vertical or horizontal boards – currently, spaced horizontal designs are the most popular, and the gate and letter box can be made into an artwork. There should be a clear, straight pathway to the front door. For some houses where the front garden needs modernisation you could consider pavers. Disguising concrete steps by covering with hard wearing deck timber, and fitted with a timber hand rail will dramatically change the look. If the space inside your front garden is small, you might consider ground covers instead of lawn – native violet (Viola hederacea), Mondo grass (Ophiopogon japonicus) – black can be striking between pavers – or Blue festuca (Festuca ovina), as well as grasses will fit in. Your front garden should look even on both sides of the path. What you put in your front garden depends mainly on how much space you have, and where you are. Remember ‘less is more’, and more modern designs favour planting only one or two varieties of plants in the front garden, one side of the path reflecting the other. Some areas might be able to use Gardenia, while more robust Lavender (Lavandula) can be trimmed to suit. Consider grasses and sedges – kangaroo grass (Themeda australis), or curly wig (Caustis flexuosa) are two of many that change colour depending on the season. Some front gardens suit a single specimen tree, and there are natives that you might choose: Weeping bottlebrush (Callistemon viminalis), Lavender paperbark (Melaleuca nesophila), and varieties of Grevillea give a focal point to the front garden. For more coastal sites Wattles (Acacia var. 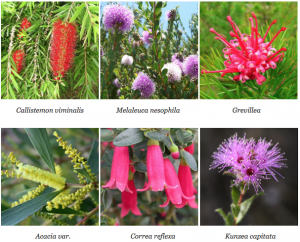 ), Native fushia (Correa reflexa) or Pink buttons (Kunzea capitata) will add interest. Instead of a specimen tree or shrub, a special feature could be added close to the front door – a fountain, topiary, or statue will reflect your welcome. Add lighting, which highlights this feature, as well lighting a safe passage to the door. Grotec can advise, design, and build a stunning front garden.